Download the completely free desktop app for Windows and Mac OSX! 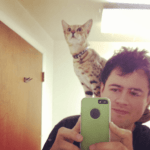 Free Mobile Site Testing Against Live Google SERPs! RankTank Mobile SERP Tester is a completely free desktop app built from the framework of our original RankTank SERPitude rich snippet testing tool, allowing you to examine SERP appearance and results in detail. Oh, and it’s 100% free forever! Why am I giving this away for free? Meh, I made it for stuff I was working on, and I really love it. I hope you find it as useful as I do! It’s pretty simple. You can search by Domain and/or Query (including advanced Google queries). Let’s break it down real quick with screenshots. When you first open the app, you’ll see that I’ve set the domain to foodnetwork.com and the query as blank so you can see how it works. Let’s go ahead an hit Run the query and see how this thing works. You’ll also note that you can change the Google country version as well. You’ll notice that when we hit Run the query, we load up to the first 100 results. Need more than that? Hit Add next 100 results to append the next 100 results to the list. You can keep doing this until you’ve got everything that Google’s gonna give! You can tell you’re out of results when the text of the Add next 100 results button changes to All indexed results found. You can now do a lot of cool stuff within the app to analyze the mobile SERP data. For example, you can sort the columns by clicking on the column headers. Try clicking on the Mobile Friendly column header to see all of the pages Google is or is not indexing as Mobile Friendly! Then, use the preview panel on the left to figure out why. The bottom-left box has a number of things you can do. You can even search within the results by Title, URL or Domain! Simply click Search in Results. If you’ve taken a look at the rest of the site, I’m an Excel and Google Doc nerd at heart. Use the Export Data button to export everything into a tab-delimited spreadsheet which can be opened in Excel or Open Office! If Google throws up a captcha, we pop the CAPTCHA up in a native HTML browser window enclosed in the app. That way it’s seamless, and Google knows you’re a real live person. the software was working fine a year ago. Now it’s not doing anything. Any news regarding the fix? Would be much appreciated! Hi Sean. It’s a great tool, but sadly – as you already know – isn’t working. Is there an estimated release date for the fix? I’m experiencing the same problem as the posts above me. I open the app and attempt to run the query with the pre-populated data and nothing happens. I’m on a Windows 7 Home Premium Edition. Any suggestions? Please advise. Thanks man! do you have a version for WIN 7 64 bits? I have the same problem as Vincent (the Rich Snippet Indexation percentage in the SERP overview box jumped to -2147483648% (same for mobile friendly results percentage)): after clicking on Run the query nothing happens, changing the location doesn’t change anything..
Hey Sean did anyone find a workaround for this to work, I’ve tried it on a mac, win7 and even XP, plus I tried on a portable drive as well just to see if it would work, but it just won’t do the search query, I’m gutted it dosent work, it would be massive time saver, any advice on how to make this work would be appreciated. Not working for me on a MAC (OSX) or PC (W7)….would love to use the tool. Any reason why its not working? Hey Zane, what’s it doing? Any error messages? Tried it today with google.nl and instantly the Rich Snippet Indexation percentage in the SERP overview box jumped to -2147483648% (same for mobile friendly results percentage). It doesn’t work on my XP machine. App loads up, but after typing domain name and hitting “run query” – no results. “run query” button stays gray for a while, then it backs to normal state. Tried various google domains. first of all a big, big Thank You for this program. I installed the 0.7 on a Mac OS X (10.10.5) driven system. That spinner runs for some seconds, stops and nothing happens to either the result section, nor the “SERP Overview” and the “Search in Results” sections. – heise.de on google.de (heise is one of the most important IT specialist publishers in Germany, so there should be at laest a handful of results). I had no problem installing or starting the program. For me the only issue is that it’s not getting any result. Hope this information might be of help, although it’s very little. Hey Ronny, still having the issue? 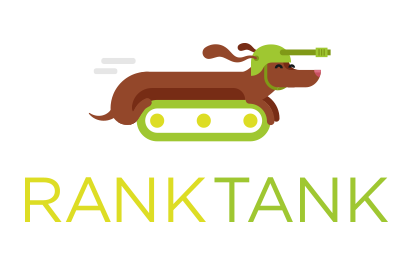 Hi Sean, any revisions on the RankTank Mobile-friendly SERP Testing Tool? I’m pretty sure it gets blocked by Google. It’s a great tool and would love to get it working. Thanks! Hey Sean, everything was working fine, but since a week your tool doesn’t work anymore. Can you help me? Hey Sean, your tool was really helpful, but since about one week it hasn’t worked anymore. What happened and can you fix it? It would be very important for me because your tool is the only tool for controlling mobile rankings that is working well. Just wondering if there is any fix by chance for the above issues that have plagued other users? When entering 95% of search queries I am left with the forever rotating loading circle on the side, and no results tabulating. I am using this program at work for a major social company and the results are very intriguing, but I do wish it would prove a bit more effective with the results loading so I could share what I am learning with my team. Sean, I tried out this tool on my PC and it’s not working either. Upon extracting the files to my computer, I get a warning dialog box that states, “Confirm Encryption Loss. Do you want to copy this folder without encryption?” Curious if this is a contributing factor, as I proceeded without encryption. Also, all I did was try to run a root domain on google.com with no query. Upon clicking “Run the query”, the software appears to start working (as indicated by the interactive circle directly adjacent to the query box, but it doesn’t do anything but hang in limbo. If you want my help in troubleshooting the software after you make necessary adjustments, just let me know. I followed you on Twitter today so you can just DM me there or e-mail me via the e-mail I signed up with here. Thanks Matt! I’m going to work on this tool today. What OS are you on? What was the query? I’m going to try to test this today. Hmm… what version of OSX do you have? Install on my Windows 7 PC. It’s running on google.co.uk, but not on google.com. Hey Ben, are you able to change it with the drop-down box? I’ve installed and tested lately 🙂 not facing any problem so far! thanks, it looks like a useful tool so far. one thing though, the mobile-friendly tag seems to be spread out randomly, as the site i just checked isn’t mobile-friendly at all, but various single sites within the url-structure have been flagged as being mobile-friendly. Yeah I’ve seen Google give the tag to random pages on a site that’s definitely not mobile friendly. The tag info is coming straight from the SERP. There is no Mobile Friendly column header? Should be column 3? Are you talking about in the export, or the tool itself? Yes, I experienced the same issue as others. The program launches fine, but when I attempt to run a query from Google.com, the program indicates that it is searching (icon), no results. Not even if I attempt to search the same queries demonstrated by others in the past. I am on a Windows 8.1 machine. Question: Is there a way to get access to a previous version? I wouldn’t mind reverting if that resolves the problem. Hey Yvonne, what happens if you change the Google location in the drop down box? What language are you searching in? Thanks! Very nice works fine for Google.co.uk! Sorry to hear that Doug 🙁 Does this happen after trying a search, or immediately when opening the program? I am out of the US and trying to search for US results. Put a KW phrase I wish to search websites for. Click the “Run the query” button. Does it take time and I need to wait? Hi! Sounds like a great program but I got the same problem that after it boots up…NOTHING works! Why might this be happening? Give me some options to check out please. Hey Justine, does it not load at all? Or does it not work after trying a query? Another mistake on my part, all of my comments are awaiting moderation. I have downloaded both the mac and windows versions and neither are working for me. I enter a kw and click “run the query” and nothing happens. I am running windows 7 and I have logged out and back in on gmail. Please advise. Thanks. Hey Thomas! Just saw your comments – sorry for the delay. This is just what I’ve been looking for but can’t get it to work – no error, it just hangs with the icon swirling when you ask it to run a query. Any chance of getting it sorted Sean? would be appreciated. I just downloaded your mac OS version. All I can say is “WOW” ! I was looking for this kind of software. I decided to buy you some beer adn I am going to paypal right now. Can we talk about a translated version in french and some others ideas I get ? Not working here either Sean, no error but clicking “Run the Query” does nothing. I see a single frame flash of a green bar in the bottom right. Win 7.
same here. When I run query nothing happens. Hmm, do you get any error messages?